Let go of your daily stresses in just minutes! If you feel the tension building through your working week, this CD is just the tool you need to help maintain your equilibrium. At the end of a busy day, just pop it on your computer or music player and relax to its calming alpha frequencies. The CD begins with relaxing music, designed to calm your mind and de-stress your body. Then listen as the soft music and brainwave tones combine to generate alpha frequencies associated with relaxation and light sleep. 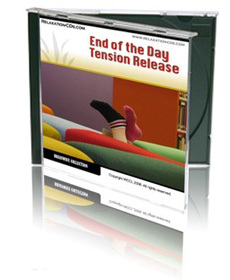 And any time in future you need that release from tension and stress, this amazing CD will be available for you. What’s more, as alpha frequencies are also associated with creativity, you may find it gives your creative powers a boost also!